Summer driving is often associated with carefree memories of rolled-down windows, wind in your hair and clear, open roads. A new study by Michelin indicates that optimal summer driving conditions may actually lull drivers into a false sense of safety. 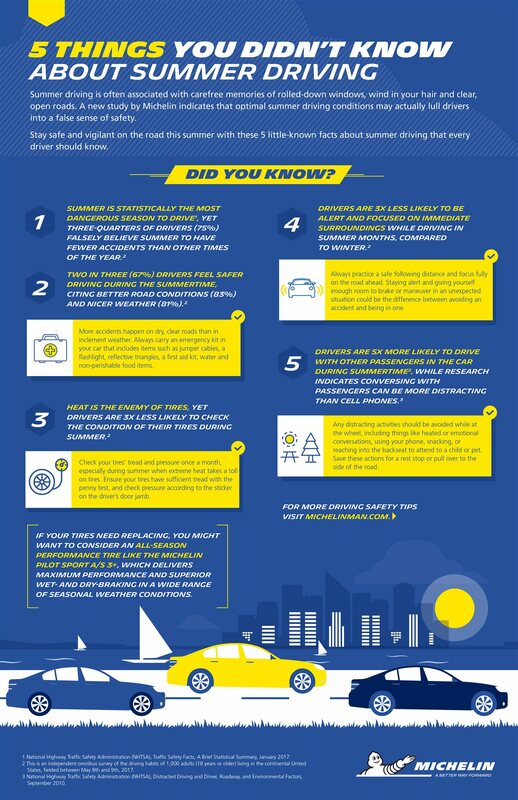 Stay safe and vigilant on the road this summer with these five little-known facts about summer driving that every driver should know.